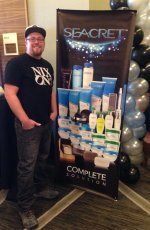 Find the latest natural skin care news, tips, reviews and recommendations here first before you buy your skin care products. Check back often so that you don't miss a thing. Continue reading "Learn About The Seacret Direct Compensation Plan"
Continue reading "Seacret Direct Business Opportunity - Change Your Life Today"
Continue reading "Help Psoriasis Symptoms Disappear with These Tricks"
Continue reading "Natural Eczema Relief for Your Body"
The best moisturizer for dry skin can mean the difference between painful, cracked skin and being healthy and pain free. Continue reading "Best Moisturizer for Dry Skin"
Brown spots on hands are one of the more common signs of aging. These spots may appear lighter in color, more like a tan shade, or they may appear much darker. Continue reading "Minimize Brown Spots on Hands"
Turkey neck is another way of referring to an aging neck line and it’s one of the most troubling facial imperfections many people experience as they get older. Continue reading "Turkey Neck Solutions"
At Gentle Skin Solutions we believe you should be able to try our products before your purchase. Claim your free sample today! 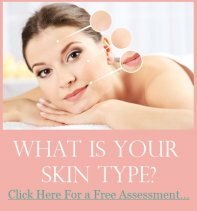 Continue reading "Get Free Skin Care Samples For Your Unique Skin Type"